How can we continuously transform polygons in order to improve their isoperimetric ratio? We study polygon flows, in which the vertices of a polygon move according to a differential equation. 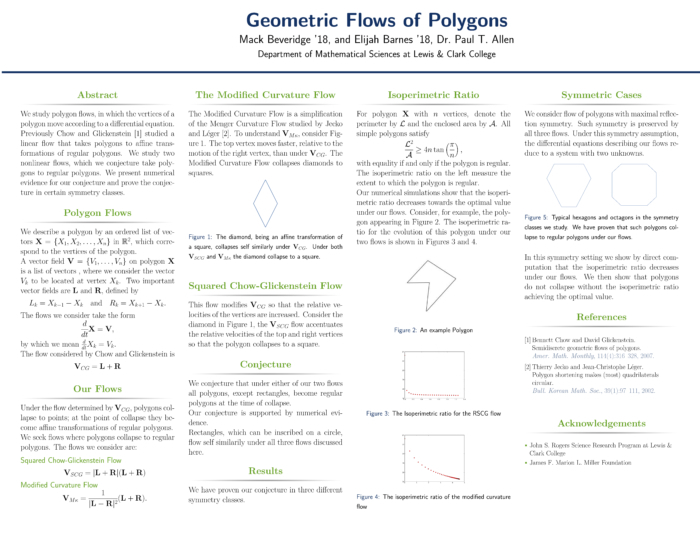 Previously Chow and Glickenstein studied a linear flow that takes polygons to affine trans-formations of regular polygons. We study two nonlinear flows, which we conjecture take polygons to regular polygons. We present numerical evidence for our conjecture and prove the conjecture in certain symmetry classes.